The holidays are a time of massive indulgence for many of us. In fact, even those who have managed to stick to healthy diet and exercise programs all year long often fall off the wagon at the end of the year. There’s nothing wrong with enjoying some extra food and drink at this time of year. 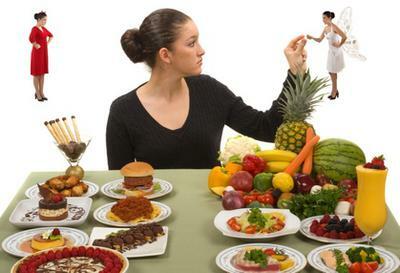 In fact, studies show that following stricter diets actually makes things harder in the long run. However, it’s important not to go completely overboard, otherwise you’ll undo all of your good work and make the start of the new year that much harder! Here are 5 tips that won’t take away all of your fun, but that’ll mean you’ll feel a lot better about your health once the holiday season is over. All those extra parties are a big source of calories. Not just because of the food, but because of all the alcohol they usually involve! Drinks can contain way more calories than you might realize - especially cocktails and creamy liqueurs. Try to limit your alcohol intake if possible. We know it’s hard at this time of year! If it’s too hard, try drinking spirits (without sugary mixers!) and wine instead. If you’re going out for a big Christmas meal or party in the evening, balance this out by eating fewer calories earlier on in the day. Now this does NOT mean that you should starve yourself or skip entire meals before parties – doing this can actually lead to overeating when you do eat. Instead, eat lighter meals full of fruits, vegetables and fiber that’ll help you feel fuller before the party. Many of us find that our schedule is all over the place during the holidays, so it’s harder to stick to a routine. Making sure you manage to work out regularly does come down to routine, and it’s easy to let yourself skip your workouts when you’re so busy. Don’t fall off the wagon! Instead, try to plan things in advance. If you have time off work, let yourself have those lazy lie ins on some days, but make sure to plan which days you’ll be getting up to workout. And, if your gym closes over the holidays, either put together a home workout schedule for yourself or re-arrange your workout days for when the gym is open. Your social calendar is probably a lot fuller at this time of year. Be careful not to sacrifice your sleep in order to keep up with anything! Studies have shown that a lack of sleep can contribute to weight gain. It’ll affect how hungry you feel, and it’ll also make it easier to give into cravings when you’re tired. So socialize and party hard, but rest hard too!